Decorate your bathroom in rustic style with the Iron Elk Bathroom Hardware, embellished with elk silhouettes. 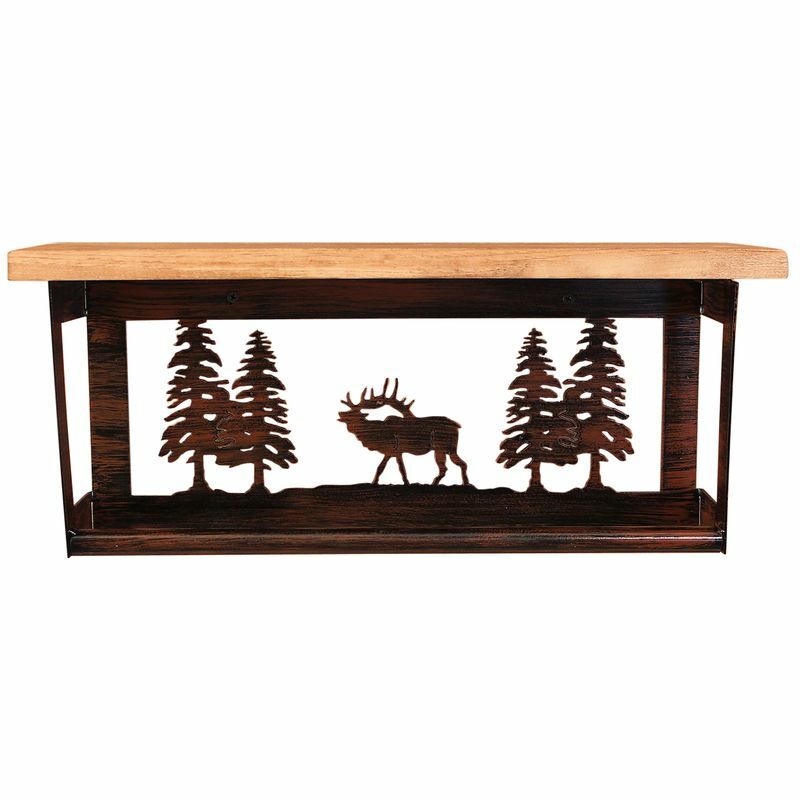 Perfect for your rustic bathroom, the Iron Elk Towel Bar & Shelf features an elk and tree cutout scene with a convenient bar for hanging towels. Add style to your bathroom with the Iron Elk Toilet Paper Stand/Magazine Rack. This toilet paper stand/magazine rack features an elk and tree cutout scene for rustic flair. Create effortless style in your nature-inspired bathroom with the Iron Elk Toilet Paper Holder, beautifully made with a majestic elk. Give your bathroom a nature-inspired update with the Iron Arm Elk Toilet Paper Holder. Crafted with a majestic elk, this toilet paper holder makes a beautiful accent. Accent your nature-inspired bathroom with the Iron Elk Toilet Paper Box. This toilet paper holder features a majestic elk for a beautiful addition to your home. Make a statement in your bathroom with the Iron Elk Hand Towel Holder, adorned with a majestic elk for a true nature-inspired feel. Give your bathroom a nature-inspired update with the Iron Elk Towel Bar. Crafted with two majestic elk, this towel bar makes a beautiful accent. Accent your nature-inspired bathroom with the Iron Elk Scene Towel Bar. This towel bar features a beautiful elk scene for a beautiful addition to your home.